Beverly Banks talks about the midterm elections on WJLA 24/7 News. ARLINGTON, Va. — Beverly Banks spoke with WJLA 24/7 anchor Dave Lucas about her midterm reporting trip in West Virginia and Tennessee. 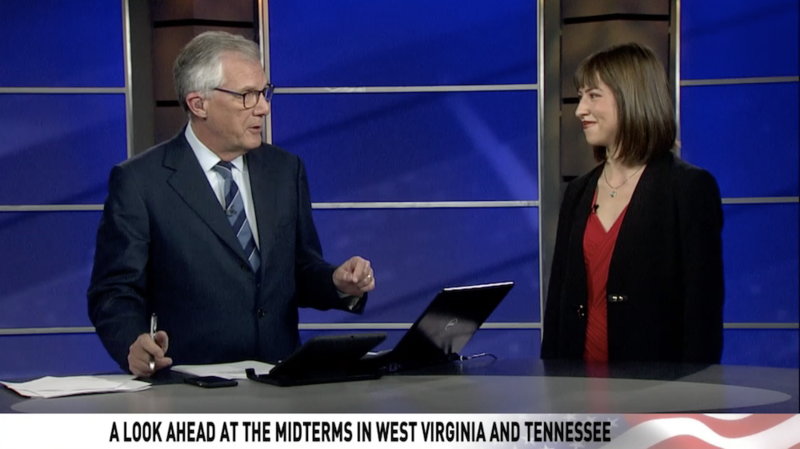 While traveling across the Appalachian region, the Medill news team covered House and Senate races. Beverly interviewed Senator Joe Manchin and Richard Ojeda, the Democratic candidate for the third congressional district in West Virginia. While in Tennessee, Beverly talked with voters in Knox County about the issues that we’re driving them to the polls. Check out our Special coverage of the 2014 Midterm Elections. Medill keeps a close eye on everything happening in the nation's capitol. We'll give you to numbers on certain areas around the world. The stories here were reported, written and produced by Northwestern University graduate journalism students in the Washington program of the Medill School of Journalism, Media, Integrated Marketing Communications . Most also were published or broadcast by media organizations served by the school's unique news distribution plan. We specialize in enterprise reporting, multimedia and online journalism, as well as on accountability, working to uncover misbehavior by people in power.